Modern commercial kitchen appliances are safer and more efficient than they were in the old days, but it’s still possible for a faulty gas system to cause serious injury to you or other users. For this reason, private and government institutions have started gas safety campaigns, with the goal of raising awareness about the dangers of using unsafe gas appliances and systems. These gas safety campaigns have been helpful and have provided caterers an opportunity to understand and apply their gas safety procedures. To make sure your gas appliances are safe and working correctly, follow these time-tested tips. One way of ensuring your safety when it comes to gas appliances is to learn how to use them correctly. Go through the manual to ensure you are using them as directed by the manufacturer. Location of Your Gas Appliances? Proper storage of gas appliances in your kitchen is paramount. Your gas appliances should be kept in a well-ventilated location and should not be exposed directly to the sun or other heat sources. They should not be placed near flammables substances or electric sockets. Additionally, they should be placed on a firm and level surface where good access is ensured. Hiring someone who is not gas safety registered to install or service your gas appliance can put you and other people in danger. Make sure you go for a Gas Safe registered engineer. Before you hire a gas safe registered engineer, ask about their education and qualification. An experienced gas engineer will gladly share their educational background and can produce documentations to support their gas safety registration. It’s unlawful for someone who is not on the Gas Safe Register to install or service gas appliances in the United Kingdom. 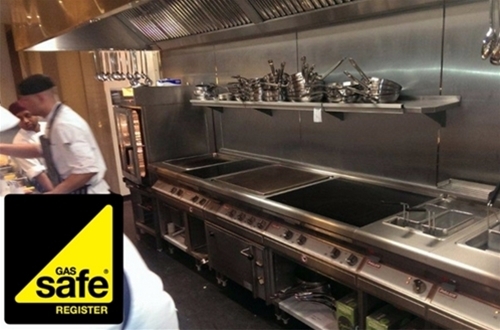 If you operate a commercial restaurant, a café, or a catering establishment, avoid using domestic kitchen equipment because they won’t be able to cope with your demands. Domestic kitchen alliances are susceptible to frequent breakdowns, which could jeopardize your business. This doesn’t mean that you are safe if you only use commercial appliances; you will still need a registered engineer service your equipment yearly. When buying commercial appliances, ensure they have a CE marking plate, which verifies they meet all UK and European safety directives. An emergency isolation valve will stop gas flow if something goes wrong. However, ensuring that your equipment has an isolation valve is not enough, and you make sure that you and your people are trained on how to use it. Also, any appliance that uses liquid petroleum gas should have a Flame Failure Device (FFD) fitted. FFDs help prevent deadly gas leaks because they don’t allow gas to be released if there is no flame. Commercial kitchens are busy places. This means that they generate a lot of oil, smoke, fats, and grease, all of which can damage or buildup on fryers, ovens hobs, ventilation units, and other kitchen surfaces. Hire an experienced cleaner to clean your ventilation units and other kitchen surfaces. 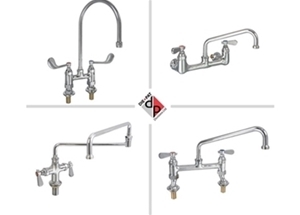 By keeping your kitchen clean, you can reduce the risk of your gas equipment sparking a fire. Failure to use high-quality gas hoses can lead to severe injury and even fatalities. Make sure you buy a gas hose that meets all current safety regulations. The gas hose you choose should have CE marking. If you want high quality and fully accredited gas hoses, go for Caterhose gas hoses. Why? 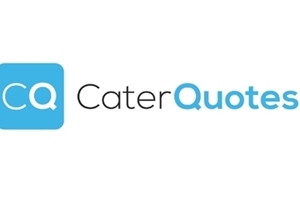 Caterhose gas hoses provide fully welded, corrugated, and stainless steel gas hoses assemblies manufactured using the latest techniques to ensure they meet all the requirement of gas supply and catering equipment. They are made of highly flexible and durable material. 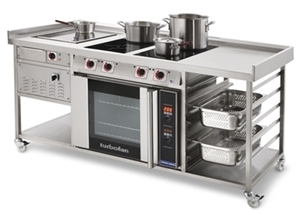 They are UK-made - This means that it meets all UK legal requirements for gas supply and catering appliances. They received a new BSI certification, which is up to date till 2020. All assemblies are supplied with restraining kits. They have fully welded end connection. They are 100% pressure tested before dispatch. They come with hygienic wipe-clean wrinkle free yellow PVC cover. They are made of heavy-duty braided stainless steel. Fire is not the only danger associated gas appliances; your kitchen could be harboring carbon monoxide, a gas that can cause severe illnesses or death. A commercial carbon monoxide detector has more capabilities than a domestic model and will cut off gas supply when carbon monoxide reaches dangerous levels. You should also ensure you know the symptoms of CO2 poisoning, which include headaches, nausea, breathlessness, collapsing or loss of consciousness, and dizziness. What should you do if you suspect CO2 poisoning? Call an emergency helpline if you think there is any danger. As the business owner, you should always ensure that all your gas appliances are well-maintained. Ensure you consider all the recommendations by the gas engineer and replace any system that is not meeting the current standards. You should also ensure that all the appropriate systems of work are in place, rules and regulations are being followed, employees are well trained, and simple worded signs are in place. Gas safety is not just about legal compliance; it’s about protecting your business and employees.